Partner with WtERT to enhance your brand. ...for your request to topic. Your waste expertise can make a vital contribution to a better global waste management. By sharing your experience with a growing community of experts, it could also make an extraordinary difference to your individual business. which are divided into 20 prime topics and subdivided into 122 topics. 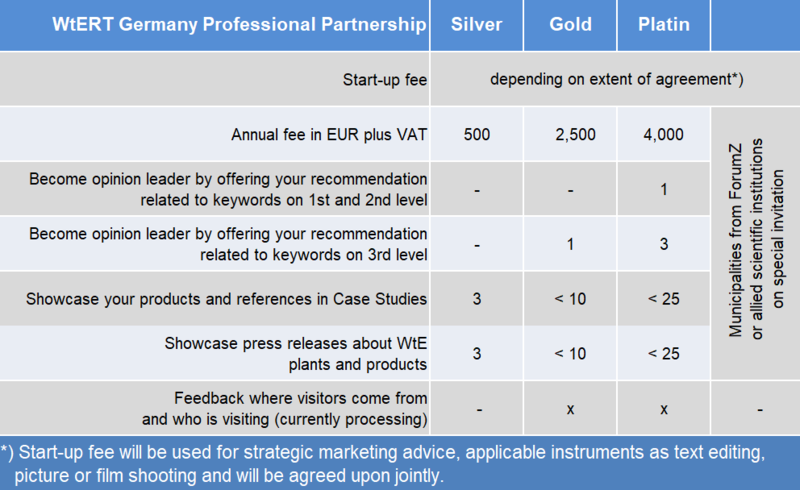 Professional WtERT partners can be linked to prime topics and topics, explain their technology and present case studies as well as press releases. Please find prime topics and topics as drop down on our page.